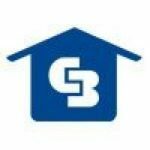 Aside from our top-notch staff, Coldwell Banker offers many top-of-the-line services to its clients. Not only do we offer 3D tours and the CBx technology, but we also offer the latest in innovative technology. Our professionally designed website offers clients the opportunity to view all our properties in one sitting. Our map option allows you to pick your property from a map of SWVA. Another of Our Advantages is a friendly photographer will help stage your house for the best possible pictures. Our office staff is personable and will make you feel welcome and at home.